I have so many projects going on all at once, and it is exhausting but wonderful. Last night I laid out this quilt and cut the batting to size. Now I just need to finish piecing the back and then quilt it. My sister keeps asking for it, so I have moved it up in my line of projects. I shared this quilt top yesterday with y'all. Today I picked up some super soft Minky for the backing and some adorable pink thread for quilting it. I hope that I can quilt it sometime this evening or tomorrow. I finally got around to making the flying geese for my Marcelle Medallion. They ended up being a tad too big, but I think I figured out a clever way to fix it. I still have my Sister's Ten BOM & my Shining Stars BOM to work on too, but they have taken a backseat for the moment. Also just a heads up! 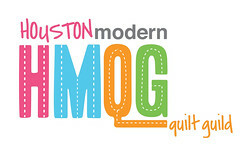 If you're going to be in Houston next week for International Quilt Festival you should come to the Modern Festival Meet Up that the Houston Modern Quilt Guild is hosting! We've got quite a party planned with lots of fun giveaways and door prizes. And the people are pretty fun too. When? Saturday November 2nd, 2013, from 8pm until 10pm. Who? Anyone interested in modern quilting. Come meet up! 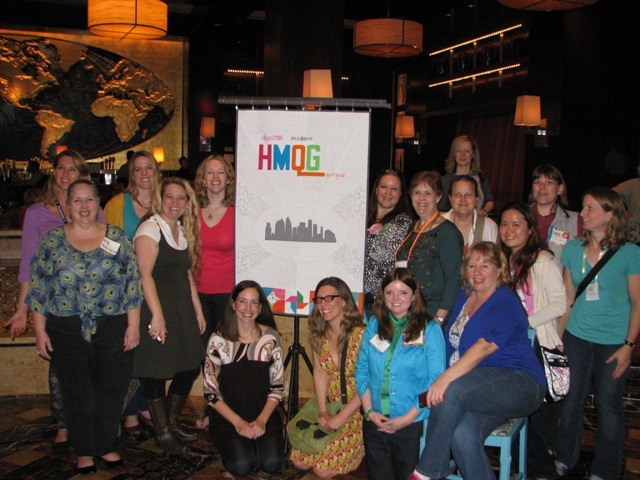 I it was a lot of fun last year, & we hope you can join us! These are some cute quilts. Lucky sister. Love your fabric choices and designs! They look fun and pretty! Any idea what color binding you'll use on the purple and grey quilt? Looking forward to a post with the finished quilt! Those quilts are all so fun! I especially like the great with purples and blues! It is wonderful to be exhausted from QUILTING endeavors. I stay that way often. What a fun Young Texas Quilter you are, and your blog so delightful....says this Mature Young at Heart Texas Quilter. Yep, you and I have at least these two things in common....Quilting and Texas. Enjoyed my visit here, and thanks for the invite to the Modern Festival Meet Up. I'm hoping to make it to Houston for this years show. Haven't been in several years! I am visiting from Thursday Threads and would love to have you stop by and see my 1930's Fabrics and Quilts. Just click on the signature link below...hope to see you there. Your comments are 'Sew' Welcomed!